Participating in the Truth and Reconciliation process in a meaningful way requires assistance from many people. 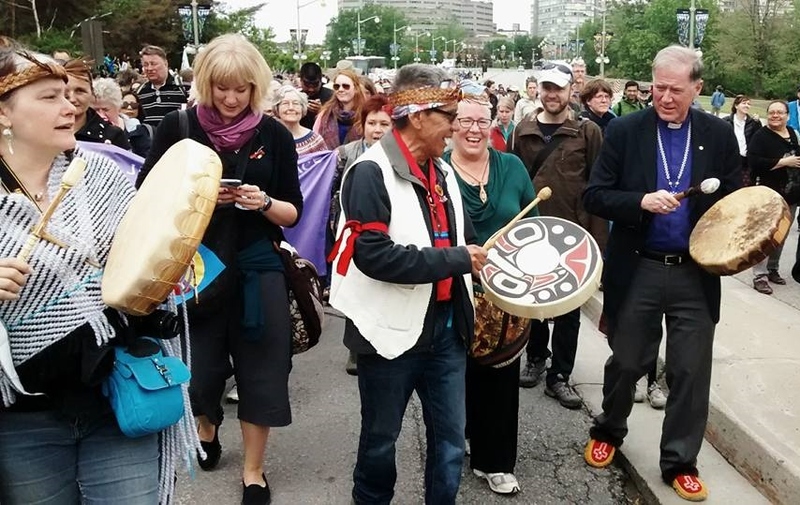 We are an associate of both the Lanark County Neighbours for Truth and Reconciliation and the All My Relations group of the Anglican Diocese of Ottawa. We share the mission of both and, like both, value the participation and collaboration of both Indigenous and non-Indigenous Peoples. We would like to express our gratitude to Lanark County Neighbours for their guidance and the work they have done to compile their document “Resources for Reconciliation.” This groundwork certainly shortened our learning curve. We also are most appreciative of the leadership, encouragement and tools that the Anglican Church of Canada and, more particularly, the local Ottawa Diocese is providing in this process. To date, partners of Mississippi Mills All My Relations include St. Paul’s Anglican Church Almonte, Almonte United Church, Almonte Presbyterian Church and Plenty Canada. We are most grateful to Larry McDermott for his willingness to hear and to respond in good faith to our many questions. In addition, we wish to express our gratitude to St. Paul’s Anglican church for providing seed funding, space to meet and administrative assistance.